My eldest is growing up too fast. I still remember the day when she was 6 months old and cut her first tooth. Today that first tooth fell out. She was at her grandmother’s for the weekend and we got a phone call on Saturday. 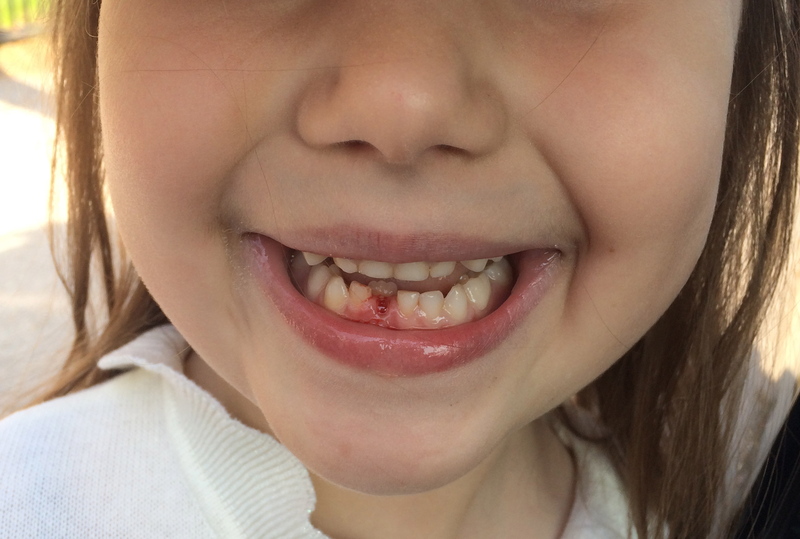 She called to tell us that her tooth got really wiggley! “Mommy, mommy it’s way more wiggilier!” She was so excited!!! When she came home she proudly showed us how loose it was. During dinner (macaroni and cheese), she kept biting on the tooth and it hurt and would bleed and she was so freaked out by it. I considered just yanking it right then and there but I didn’t. Half the playground heard her! She was laughing and crying at the same time. I squealed in delight and got a bit weepy. Together we ran back to show Daddy the tooth. She didn’t even care that her gum was bleeding. What a trooper!! Now for the next obvious question. What’s the going rate for the tooth fairy these days?? I think it depends on the tooth. 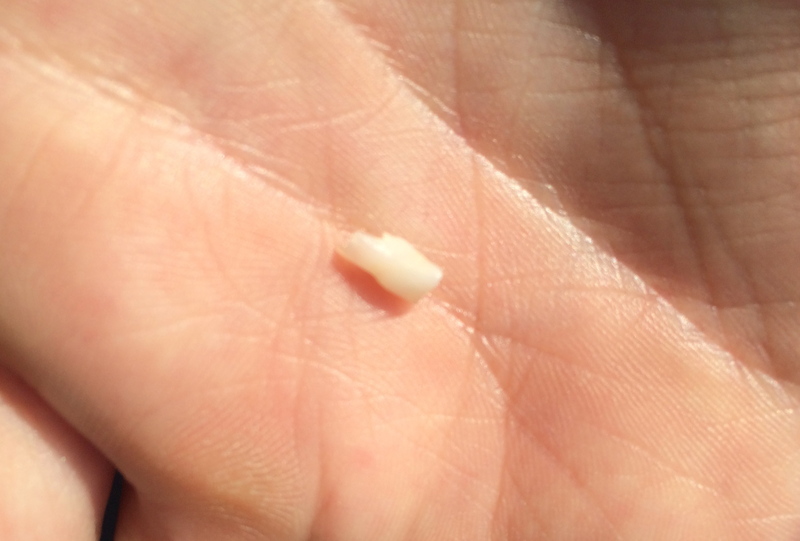 My wisdom tooth got me -2500 bucks…..
Congrats on loosing the first tooth! Thank you!! It was a big day for her. The tooth fairy left her $20!! (My mother insisted in providing the cash.) Thankfully a 5 year old doesn’t know the value of money just yet.